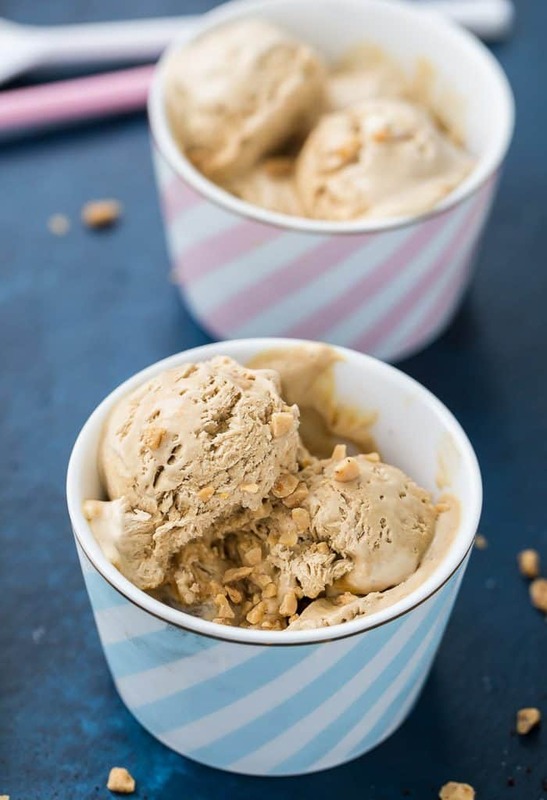 An easy no-churn coffee caramel ice cream that is the perfect combination of sweet and salty in every scoop with dulce leche and toffee bits. As we transition from summer to fall, we are in this uncertain area of what to make. 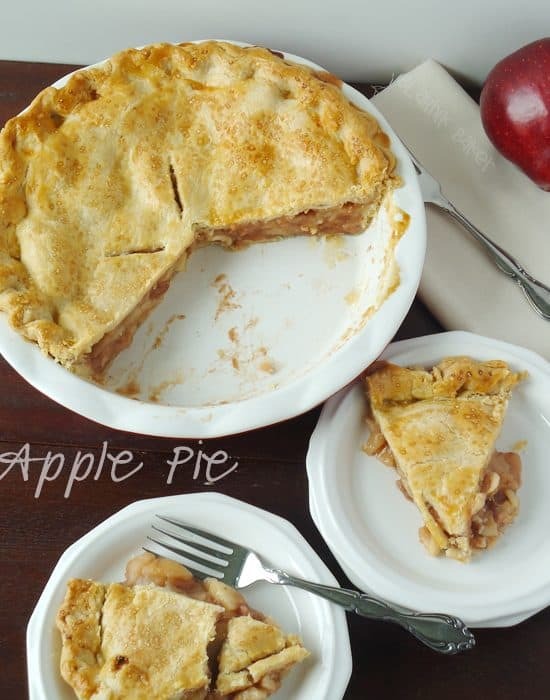 The berries are fading, peaches are no longer at their peak and apples are coming into season. One thing is for sure, I am not ready to give up ice cream. 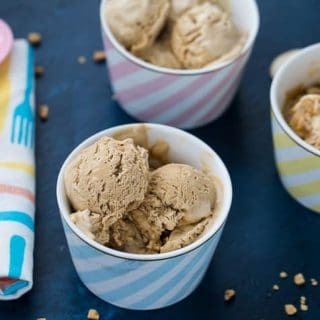 This easy no-churn coffee caramel ice cream is my way to hold on to one of the best parts of summer. 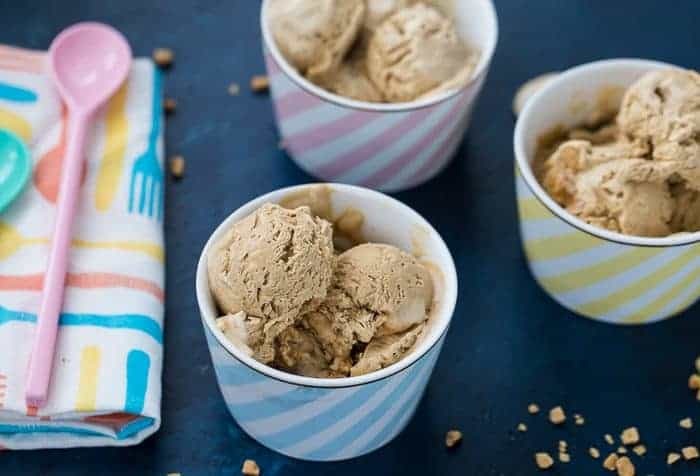 Rich coffee ice cream that’s sweet and salty and you don’t need an ice cream maker needed. It was perfect summer weather this weekend and I was able to enjoy one of the last few given that fall officially starts this week. I am ready for the crisp fall air but not yet ready to give up my daily summer ice cream. I LOVE making ice cream at home as you can see from my ice cream recipe index (hello, blueberry cheesecake ice cream!). The reason for this is that I have an ice cream maker and also the KitchenAid ice cream maker attachment (I take ice cream making seriously lol). However, I know not everyone has an ice cream maker and why no-churn ice cream recipes are so popular. It’s about time I jumped on that bandwagon. 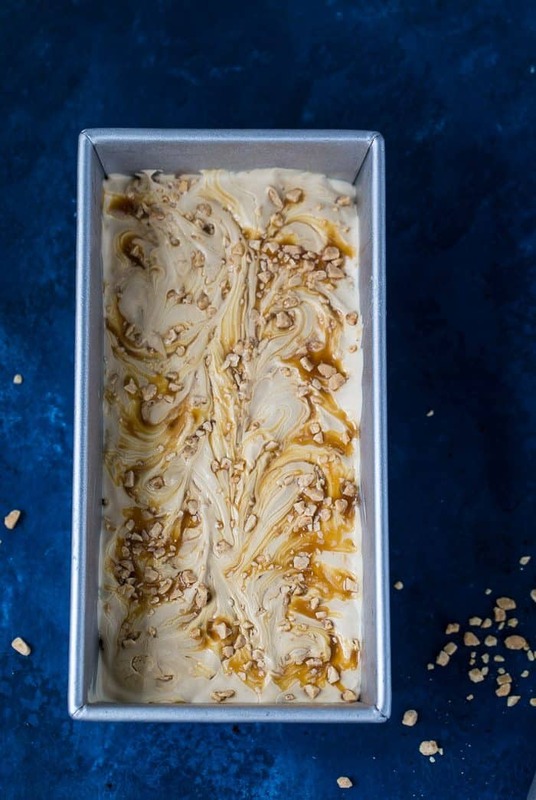 The recipe for this no-churn coffee caramel ice cream was on a recent Food Network Magazine issue and it immediately spoke to me. As a foodie and food magazine addict, I bookmark a LOT of recipes but hardly get around to making them. 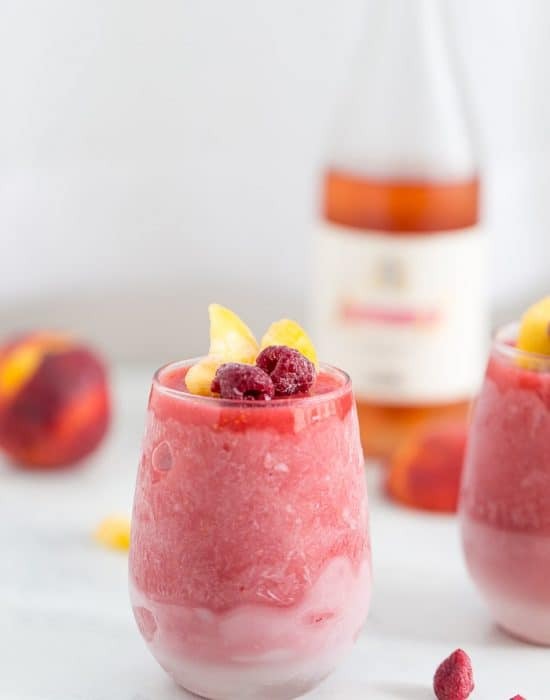 However, I am trying these days to actually make these recipes to enjoy and explore new things. 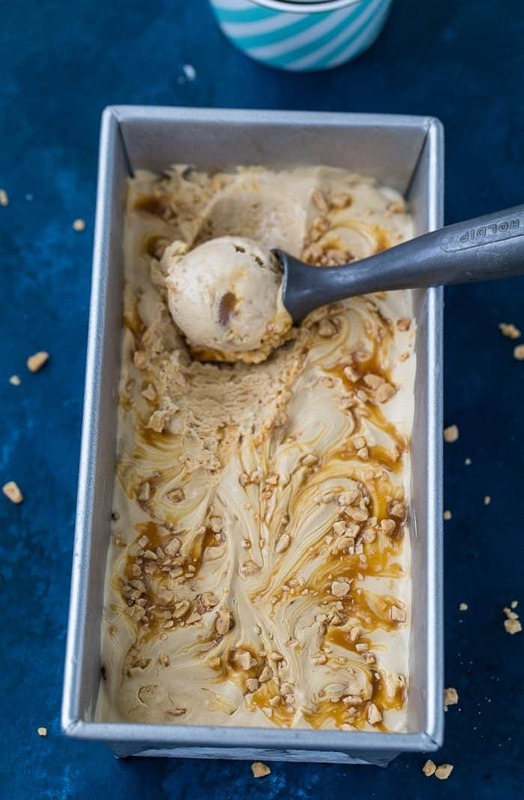 Like this no-churn coffee caramel ice cream which was incredible! A great great balance of sweet and salty in a scoop. The ice cream is made with condensed milk which is the creamy base for most no-churn ice cream recipes. 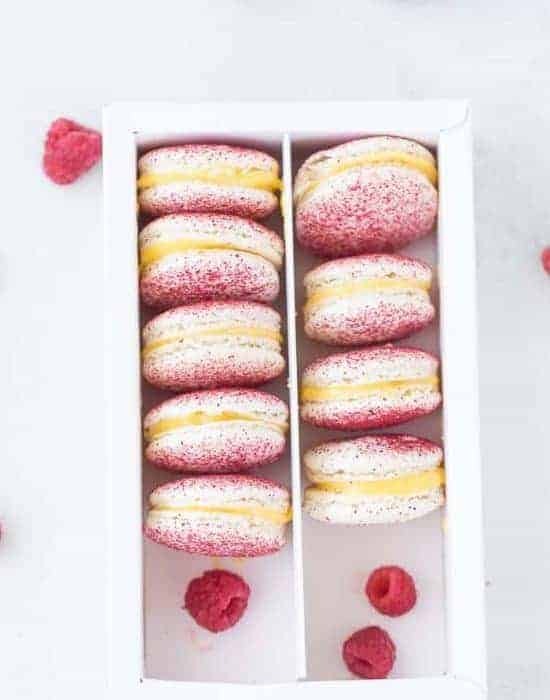 The milk is infused with instant espresso powder before the addition of whipped cream for airy fluffiness. Is that even a thing? Point is since you are not churning the ice cream with an ice cream maker, you add volume with the whipped heavy cream. The ice cream is then dotted with sweet, salty dulce leche. You can use a homemade dulce leche but I used a jarred one I had on hand. In addition, the ice cream is dotted with toffee bits. Toffee is one of my favorite things to add to cookie dough and was very happy to see it in this recipe. 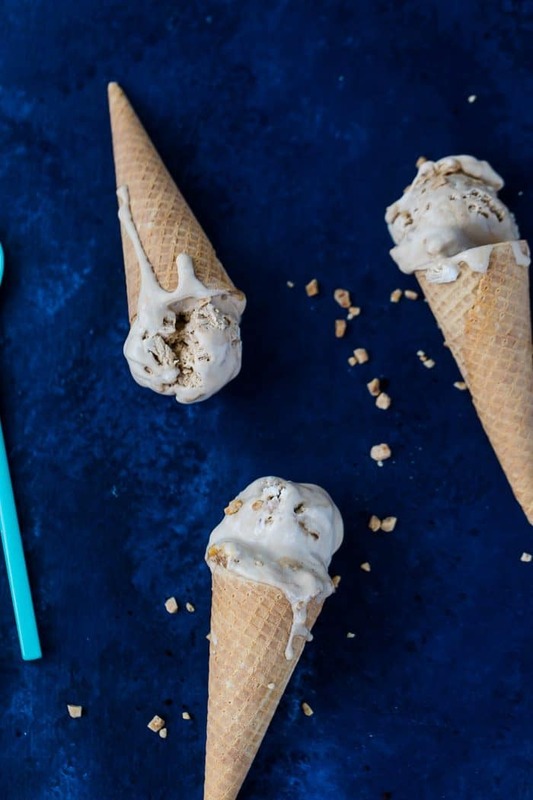 All in all friends, this no-churn coffee caramel ice cream is incredible and one you should keep in your recipe box. Make it! 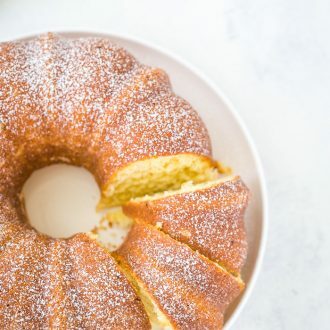 In a large bowl, whisk together the condensed milk, espresso powder, 1 tablespoon of the heavy cream and salt until smooth. The espresso powder doesn’t need to completely dissolve. 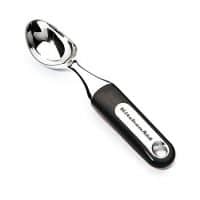 In a separate large bowl, using an electric mixer, beat the remaining heavy cream on medium-high speed, until stiff peaks form, about 2 minutes. 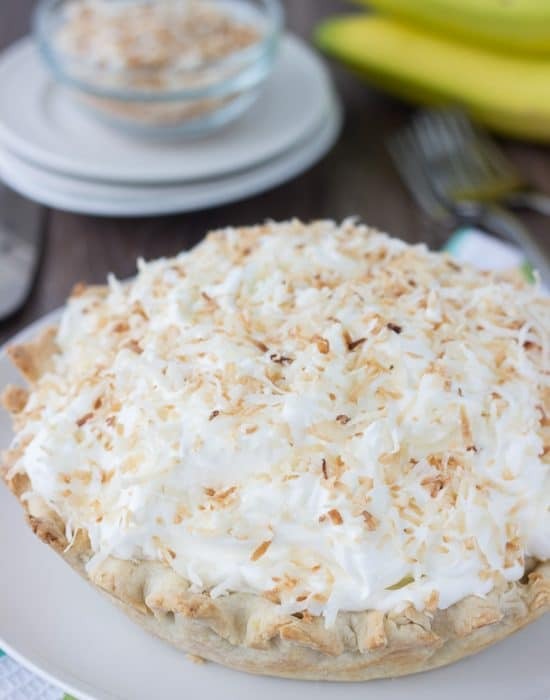 Fold in half of the whipped cream into the condensed milk mixture using a rubber spatula until well combined. 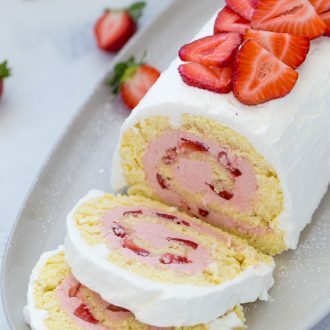 Fold in the remaining whipped cream until no white streaks remain. Dot the mixture with the dulce de leche and sprinkle all but 1 tablespoon of the toffee bits over the mixture. Gently drag the rubber spatula through the mixture to lightly swirl the dulce leche. 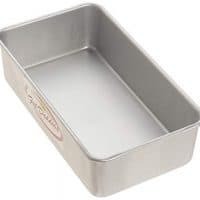 Spoon the mixture into a freezer-safe 9 x 5-inch loaf pan. Dot with more dulce leche and sprinkle the rest of the toffee bits over the mixture. Again, drag the rubber spatula through to lightly swirl. 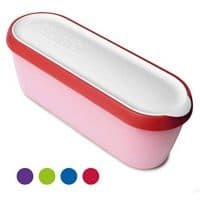 Cover with plastic wrap and freeze until firm and is scoopable, at least 6 hours or overnight. I’m soooooo glad that someone out there is still posting ice cream because I feel like it’s an all year round kind of food. And tis coffee caramel flavor is INSANE. Like, why am I not putting caramel in my coffee every day?! And then following it up with this ice cream flavor? These pictures have me drooling! !